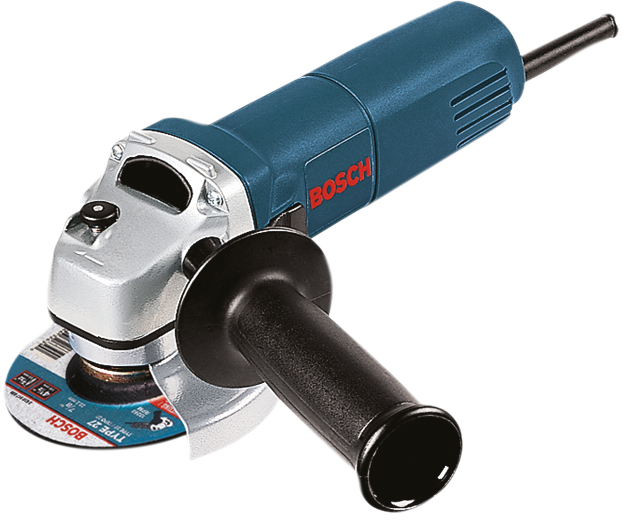 The Bosch 1375A 4-1/2 In. 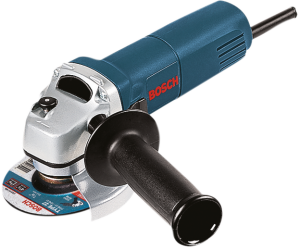 Angle Grinder features a powerful 6.0-amp motor that produces 11,000 no-load rpm, making this compact grinder a powerhouse tool. With a well-designed grip, lock-on slide switch, two-position side handle and 11,000 no-load rpm, this workhorse can get the job done. It is well suited for metal fabrication, concrete restoration, pipe fitting and more. It uses Service Minder™ brushes that stops the grinder when preventative maintenance is required and epoxy-coated field windings, for longer tool life. The lock-on slide switch, two-position side handle and 3.75 Lbs. weight add to user comfort and control.